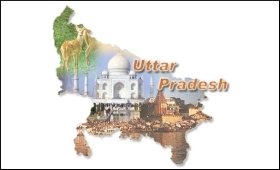 Prime Minister Narendra Modi will inaugurate two–day Uttar Pradesh Investors’ Summit 2018 in Lucknow on Wednesday. An official release said that while the PM will inaugurate the Investors’ Summit 2018 on February 21, President Ram NathKovind will be present at the closing ceremony. Several Union Ministers including Rajnath Singh, ArunJaitley, Nirmala Sitharaman, Nitin Gadkari, Suresh Prabhu, Smt. SmritiIrani, Ravi Shankar Prasad, Harsh Vardhan, V K Singh, Dharmendra Pradhan will attend the summit and chair individual sessions to attract investment for the state. It will provide a global platform, to bring together ministers, leaders from the corporate world, senior policy makers, heads of international institutions and academia from around the world to further the cause of economic development in the state and promote cooperation. Seven nations– Finland, Netherlands, Japan, Czech Republic, Thailand, Slovakia and Mauritius have been identified as country partners for the event. Several memorandums of understandings (MoUs) are expected to be signed during the summit. The event comes in the backdrop of Prime Minister’s clarion call to the states to engage in the spirit of co-operative and competitive federalism for all round development of states showcasing their potential and attracting investors. In keeping up with his promise and commitment, the Prime Minister inaugurated Global Investors summit in Guwahati on February 4 and Magnetic Maharashtra on February 18.